BRUSSELS, Belgium – The European Parliament elections, which take place May 23-26, are causing further delays for the EU-Vietnam Free Trade Agreement (EVFTA). At least that’s the outcome of the provisional agenda set by the new Romanian EU Presidency. It results in the fact that this already long-delayed trade deal won’t enter into force before 2020. The further delay for EVFTA was recently reported by renowned Politico Pro. This report states that, according to a provisional agenda set by the new Romanian EU Presidency, EU countries are to ratify the EU-Vietnam trade agreement (plus the separated investment protection deal) at the next EU Trade Council on May 28 in Brussels. That’s not good news for those hoping for a quick ratification of the deal. In particular as under EU rules, EU countries need to give their consent to a trade deal before it can be officially signed with the partner country shortly afterwards. Only then, can ratification in the European Parliament begin. Negotiations for EVFTA were already concluded in August 2015 and initially it was expected that by the summer of 2018 it would be ratified by the EU Parliament. However, it ran into difficulties as the European Parliament placed questions at how Vietnam as a one-party Communistic state is treating its workers. 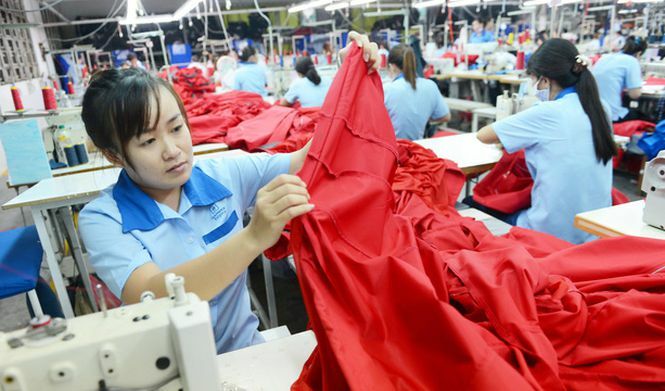 European Parliament’s trade committee chair Bernd Lange claimed that it is unfair for big manufacturers to use Vietnam as a cheap manufacturing base, with lower environmental standards, and then export goods tariff-free into the EU. Despite EVFTA being delayed, Vietnam benefits already from a special trade arrangement granted by the EU under itsGeneralized System of Preferences. Currently regular bicycles imported from Vietnam have a GSP import tax of 10.5 percent while on Vietnam made e-bikes 2.5 percent import tax is levied. The products exported from Vietnam to Europe have to abide to the local content rules. These rules specify that 50 percent of the ex-works price of the (electric) bikes exported to Europe must be made with in Vietnam manufactured components like frames. However, there are ‘specially removed’ bi-lateral cumulation rules which apply here. They state that parts (like mid-motors) imported from Europe that are to be fitted on Vietnam made e-bikes, are considered local content. It boils down to the fact that EU made parts add value to the local content making it much easier to reach the named local content and with that the rules of origin of the by Vietnam exported e-bike. Companies from the bicycle and e-bike industry which recently invested in Vietnam are (among others) KMC, Bohle/Schwalbe, Astro, Kenda, DDK and A&J.